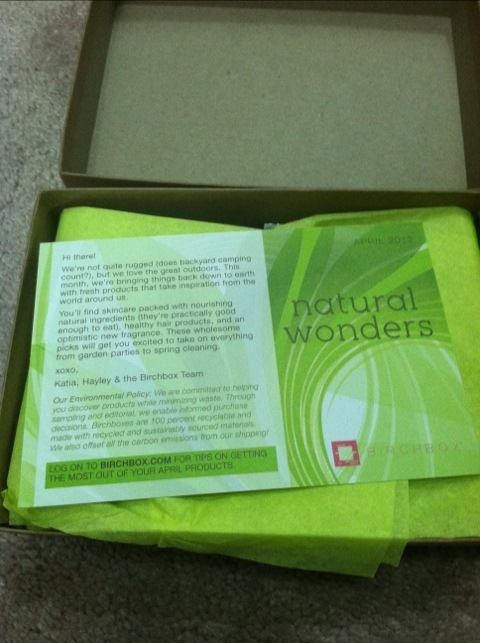 I came home from picking up children to my April BirchBox! Yay! Mmmm, lavender! Love this stuff already, perfect to throw in my purse! Well, they smell yummy. I’m going to take them on my next trip and see how they work. My face is so sensitive! I don’t know about this one. But I always find uses for minis! Zoya Nailpolish. Pretty matte spring green color! And the “extra” was a sample packets of laundry soap! Yay! Free laundry!! That’s all! I realized I never reviewed last month, oops! I’ll have to do that one day. 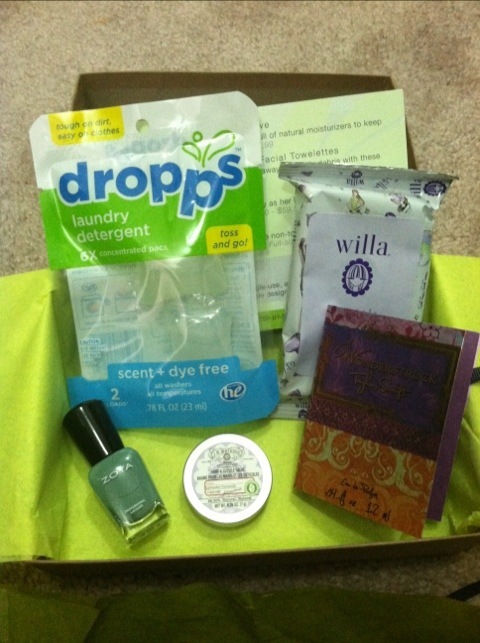 So far, I like BirchBox, we shall see! This entry was posted on April 11, 2012 by katespadegirl. It was filed under Cosmetics and was tagged with Birchbox, Dropps, JR Watkins, samples, Taylor Swift, Willa, Wonderstruck, Zoya.